Jason True has been with Geneva Financial, LLC. since September of 2017. He shared a bit of what has happened to him with his transition and success with Geneva Fi, aided by his relationship with Carlos Unzueta, District Production Manager for Geneva Fi in Florida. "I started with Geneva back in September as a LO. For the 19 years previous, I was a commercial lender for a couple of different local banks. I decided I didn’t want the corporate structure any longer and wanted to be paid for what I did or didn’t do. Having several friends and former coworkers in the mortgage business, three wanted me them to go to work for them and I decided to go with Geneva Financial due to us being a Lender and not a Broker. I also have known Carlos for many years and trusted his business ethics and him personally. After meeting Aaron and Telle in Las Vegas, I knew that I had made the right decision with Geneva. Having been in the Sebring market for most of my banking career, I knew that we needed an office there. With the existing relationships with realtors, attorneys, and title companies, I was able to ramp up the pipeline pretty quickly after letting residential realtors that I have known for years know that I was now doing residential mortgages. Once the referral partners developed trust with me when they were able to call me on a Saturday morning or a Tuesday night, they knew Geneva Financial is the right mortgage company to partner with. This is due solely to the team that we have supporting my sales efforts. This team is Carlos, Kiley, Michelle, and Daniella. 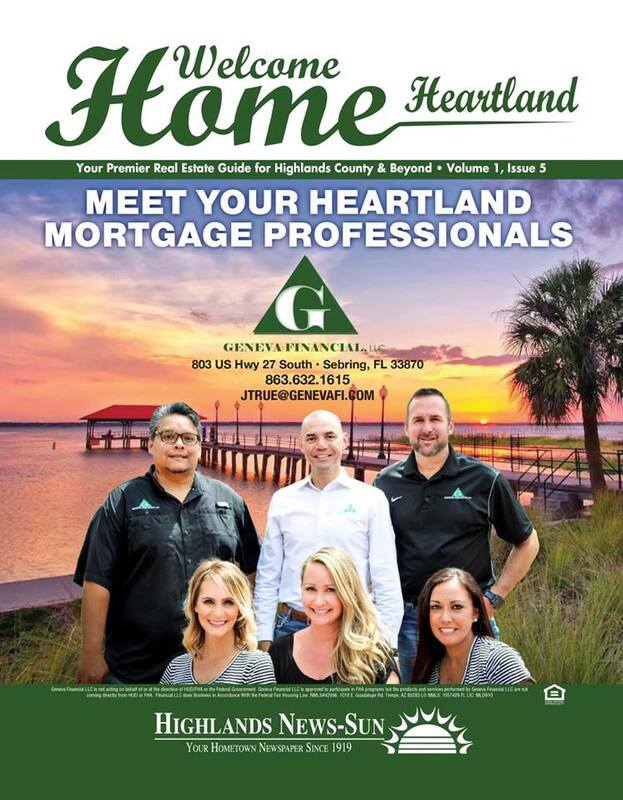 The grand opening is Friday, June 8th and we are looking forward to serving the residents of Highlands County with the new office in Sebring, Florida."